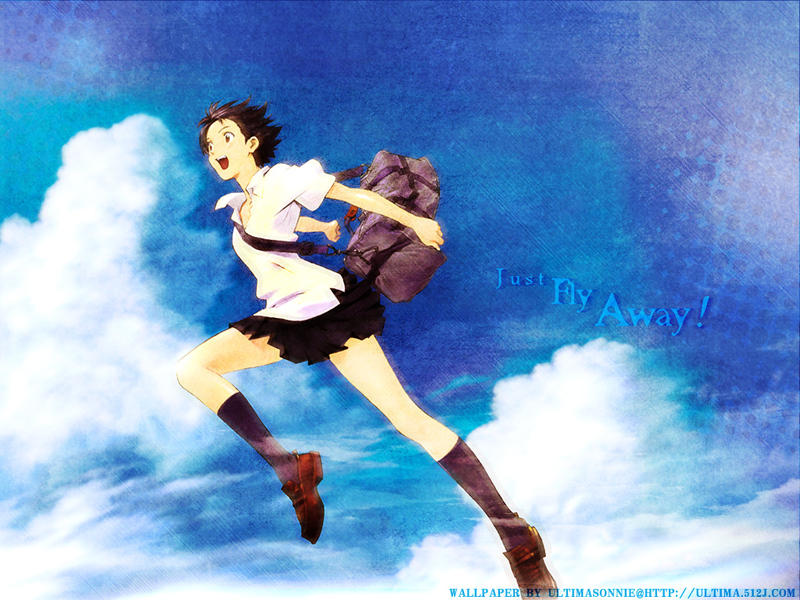 The Girl Who Leapt Through Time Wallpaper: Just Fly Away! Minitokyo »	The Girl Who Leapt Through Time Wallpapers » The Girl Who Leapt Through Time Wallpaper: Just Fly Away! Well, a very beautiful wallpaper ^______^. I love it very much ^^. A fav from me ^____^. Thanks for the nice work ^^. you use the colors very well!